Все блоки Airbag у Audi и VW после аварии и срабатывания подушек безопасности становятся заблокированны. Даже после того, как будут стерты все ошибки, Вы должны поменять очень дорогой блок SRS на новый. С нашим автономным прибором сброса crash data Audi-VW Airbag Reset Tool Вы можете перезагрузить и восстановить блок SRS через 1 минуту. Нет никакой необходимости менять или разбирать блок SRS автомобиля. Полностью автоматическая адаптация блока. Прибор работает абсолютно автономно без дополнительного компьютера через разъем OBD II стирая все ошибки и crash data. 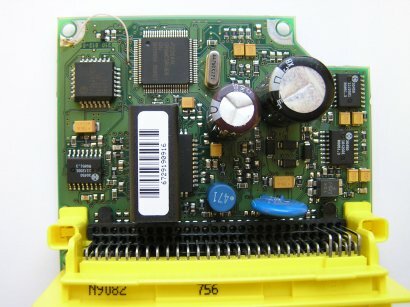 Airbag sensor from VW-Audi (A3, A4, A6, A8 2002-2005, Touareg) now can by repaired - you can read and write airbag sensor internal CR16 (80 QFP) EEPROM memory by diagnostic OBDII connector. WinXP software works with Airbag Reset Tool hardware. Now you can easy erase "crash data", "Controller malfunction" (DTC 65535) and repair airbag sensor. 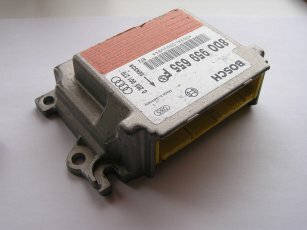 Works with all VW-Audi airbag sensors with National CR16 (80 pin QFP) inside. How to use this update? New Audi and VW cars airbag sensors have many different software versions. First we planed to release VW-Audi Airbag Reset Tool update with automatic "crash data" erase, but after many customers questions about new cars airbag repair, we release CR16 programmer by OBDII connector. For Read/Write VW-Audi airbag sensors CR16 internal EEPROM, you need to short processor pin 13 to GND. After shorting you can read and save airbag sensor internal EEPROM backup or program this sensor memory by OBDII connector. In this way you can read memory from good airbag sensor and write this file to damaged sensor and repair it. Works also for Ford with CR16 (80 pin) airbags. 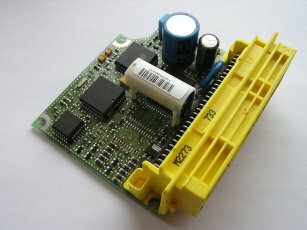 Very simple user instruction: connect this tool to Audi/VW car OBD II connector. Left red button near to yellow light diode is for airbag "crash data" erase. Push this button once and wait: yellow light start to flash and after 15 second green light inform you that "crash data" is erased. Red light set ON if erasing is not successful. Right red button (near to red light diode) is for erase airbag "fault memory" or "errors". If airbag warning lamp go OFF and immediately ON, evaluate airbag "error memory" using any VW-Audi diagnostic equipment and repair. Последнее обновление суббота 23 Октябрь, 2010.